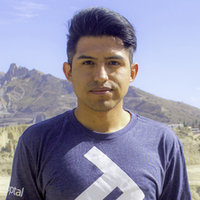 We’re hosting a welcoming event for new members of the Toptal Community in La Paz. Join us at Café Epico, Saturday, June 23rd starting at 7:00 PM. This is an opportunity to meet other Toptalers from your community, including our new Community Leader, Edwin Guzman, who will answer any questions you have about working for Toptal. All current and prospective Toptalers are welcome to join.